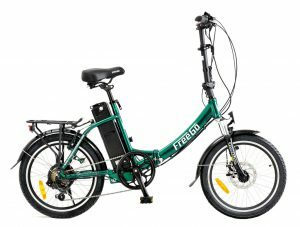 Late last year I purchased an electrically assisted bicycle from Figgures my local bike dealer. I decided to go for a folding model just in case I had to lug it around in the car. I mean lug too as the bike is really quite heavy and that is not because of the battery. I am very pleased with the machine for the most part. I regularly use it to get from Lymington to Keyhaven via an old gravel road called the Ancient Highway which borders the marsh and wildlife preserve near the sea wall. On a sunny day it is a very pretty cycle ride even though one is very close to Lymington’s large landfill site. Actually the landfill site is quite well landscaped and if it were not for the telltale gas escape valves one might not know that it was landfill. As for the bike, it has a 36volt 16AH battery by Samsung which should give a range of over 40miles. I have yet to test this fully. I am waiting for warmer weather when I will try a a return trip to Christchurch which is probably about 24 miles in all. I will take the charger just in case. I have a few quibbles with the bike. The magnetic discs which help hold the bike in its folded position have rusted as have the Top Gun hydraulic front forks. I know this is only cosmetic but it was not a cheap bike. The odometer / speedometer got misted up owing to some damp getting in. Figgures promptly sorted this in its first service. The wheels are substantial and the tyres take the rough gravel track. The front brake is a disc the rear being conventional bike brakes. It is electrically asssisted, no pedalling no assistance, this is no problem as one only needs to pedal quite lightly. It will do a maximum of about 17mph, I think the legal limit for them is 15mph, I find myself averaging 12mph. It has Shimano 6 speed derailleurs and 5 positions for degrees of electrical assistance. I mostly use position 1 or 2 with the derailleur in position 6 ( the highest gear). Of course most of my journey is close to sea level so we aren’t talking of any serious gradients. In the summer I am hoping to drive it to Boscombe and from there take off with a cyclist friend to Studland and Worth Matravers for an afternoon out. We will go via the Sandbanks Ferry. It is a clear bright day so I shall be off to the Gun Inn at Keyhaven for a brief libation.